Can you believe it's almost Halloween… like where has October gone already (crazy right). This year I was planning on creating a few makeup looks for this time of the year, especially now since I've started my YouTube channel, but sadly I've falling behind on schedule & I'm not sure if I'll have time to film/edit another halloween inspired makeup look before the hype is all over. 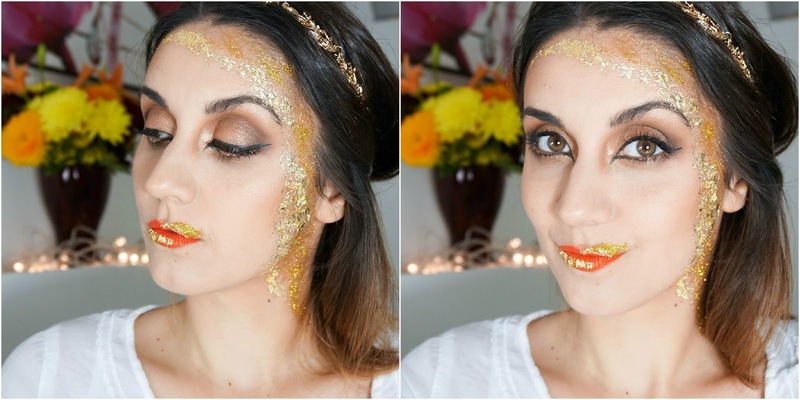 At least I managed to film my first idea though… this golden greek goddess makeup look. 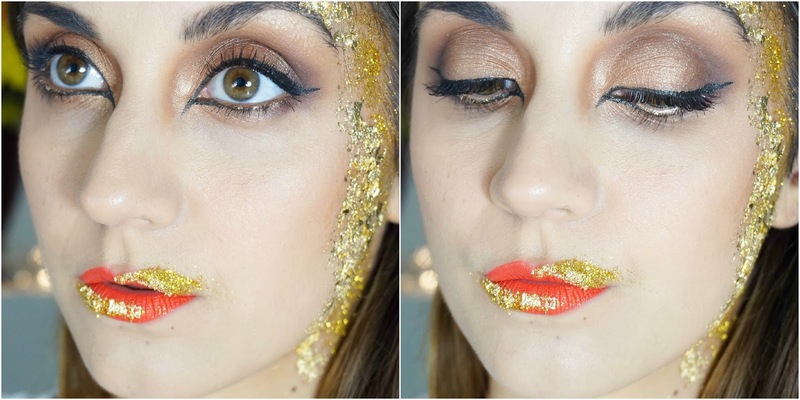 As you can see I went a bit crazy with gold glitter & foil, but most importantly I had fun creating the look. I couldn't be happier with how it turned out in the end considering it was my first attempt after thinking about it for a few weeks. Last year's makeup look was a full on black & white skull (check it out here if you'd like), which had my little one running away from me in horror… so it's safe to say that this year I wanted to focus on a more 'pretty' kind of makeup look I guess you could say. 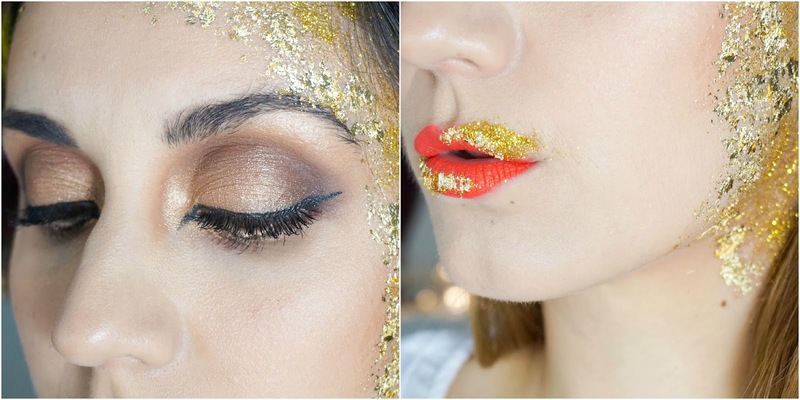 If you take away all the extra shimmer, glitter, gold foil & over the top eyeliner, this would actually be a gorgeous makeup look for an evening out. 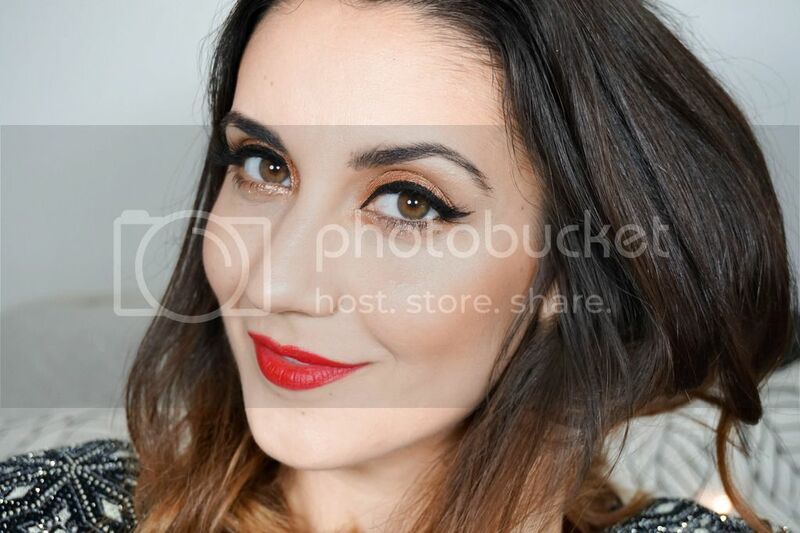 If you watch my video tutorial (which I hope you do) you be able to read all the products used in the look, but as usual if there's anything you need to ask me don't hesitate to do so.